We are a different from other Georgia real estate investor associations in that we do not focus on bringing in national speakers each and every month who want to sell you books, cds and seminars for thousands of dollars. Instead, we will be focusing on delivering you affordable, local real estate education taught by local investors and professionals who are actually doing deals, not just selling books and cds. 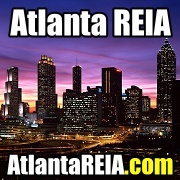 We are also putting a very strong emphasis on live networking events, social networking and community outreach programs through local charities such as the Fuller Center of Atlanta whom we help build, renovate and repair homes for needy families in the Atlanta area. We will be meeting on the first Monday at the Atlanta Perimeter Hotel and Suites at 5:30 PM. For now, anyone can attend our monthly meeting, webinars and meetups at no charge. However, please note that we will be charging membership fees and cover charges for some of these events in the very near future. We look forward to seeing you all at one of our meeting, webinars, networking events or our Fuller Center Saturday Workdays in Lakewood!